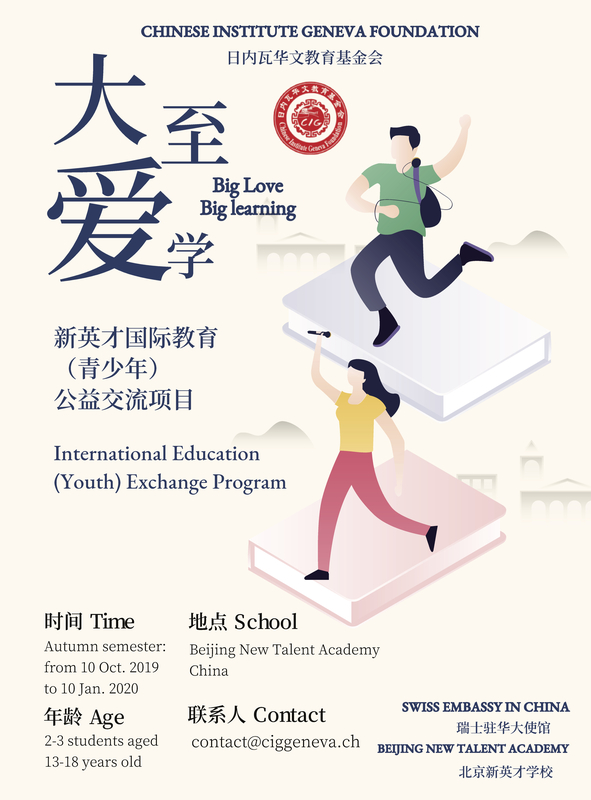 Big Love, Big learning -- International Education (Youth) Exchange Programis a public welfare, international cultural exchange project jointly established by China Public Relations Association and Beijing New Talent Academy. The program will provide international students with the courses designated to their interests in Chinese language and culture, allowing them to personally and deeply experience both the rich traditional Chinese culture and the modern contemporary China while at the same time, improve their communication skill and capability of adapting to new environment. We believe that this program will bring new opportunities for the educational cooperation and coordination between our two countries.